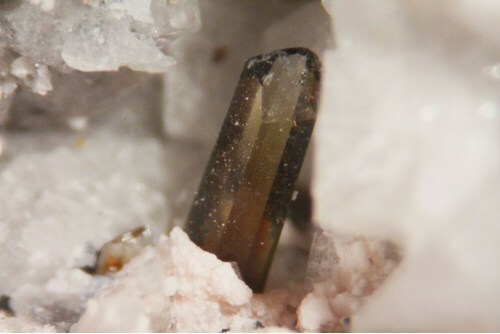 Brownish crystal of tilasite on white-pinkish montmorillonite in quartz vein. 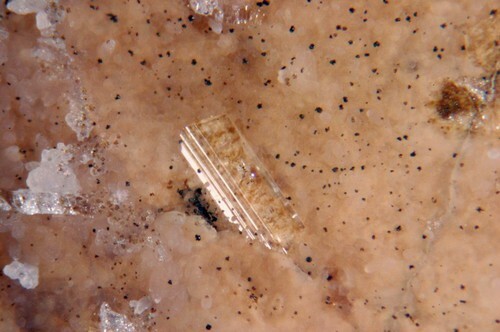 The crystal is 5 mm long. Collection and photo: G. Armellino. 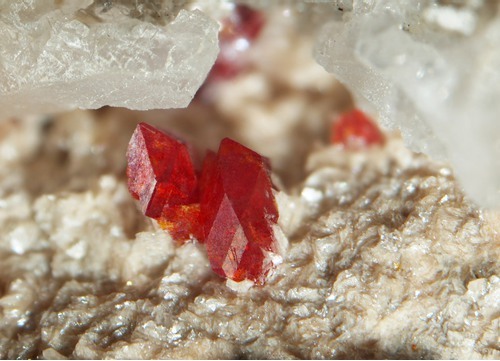 Beautiful red medaite xls in ganophyllite vein. Field of view 5 mm. Collection G. Armellino. Photo P. Ambrino. 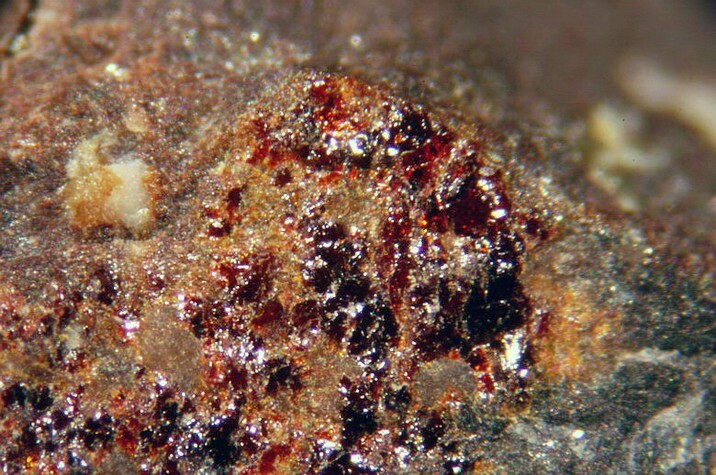 Dark brownish crystals of wakefieldite-(Y) on white-light pink montmorillonite and brown-yellowish tilasite. Field of view: 14 mm. Collection: G. Armellino. Photo: P. Ambrino. 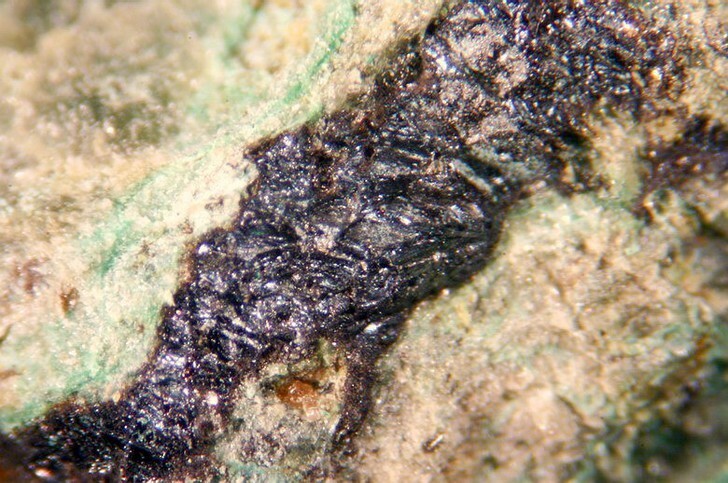 Brownish crystals of tilasite with cryptomelane and white montmorillonite in quartz vein. Field of view: 8 mm. Collection and photo: G. Armellino. 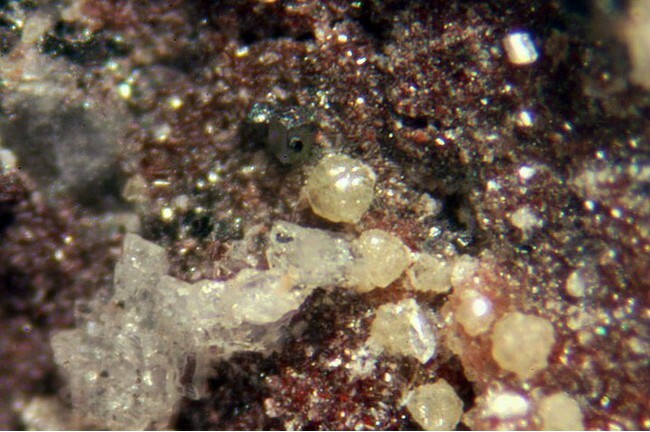 Light yellowish spheres of paraniite-(Y) with hematite, albite and quartz. Field of view 2 mm. Finding by Marco Ciuffardi in spring 2008. Collection M. Ciuffardi. Photo G. Armellino. 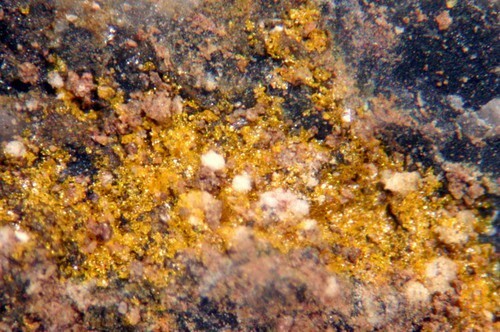 Yellow closing of hummerite in silicified wood. Field of view 3 mm. Collection and photo G. Armellino. 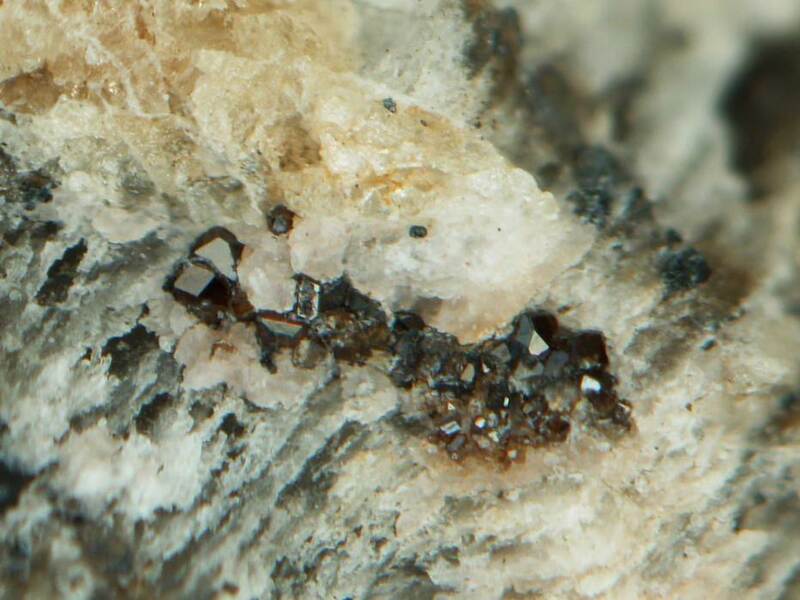 Colorless tabular crystal on jasper. 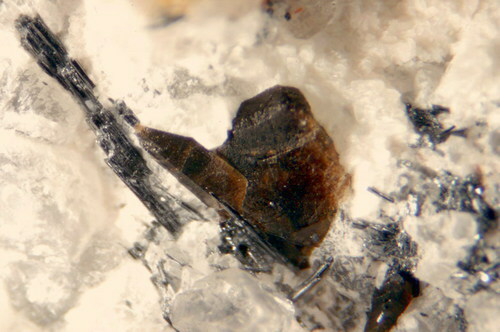 Crystal size is about 2 mm. Collection and photo: G. Armellino. 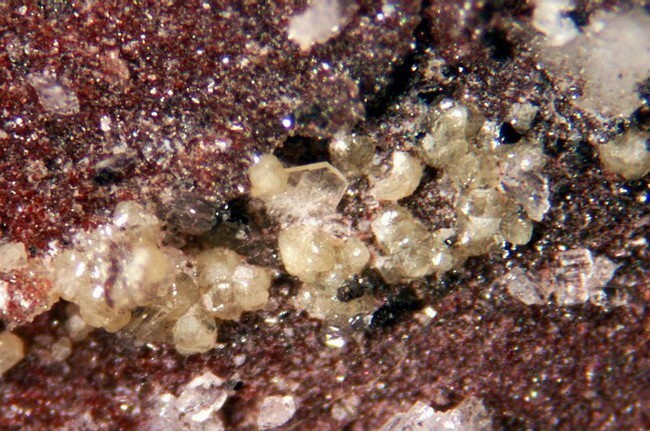 Light yellowish spheres of paraniite-(Y) with hematite, albite and colorless tabular uk. Field of view 4 mm. Finding by Marco Ciuffardi in spring 2008. Collection M. Ciuffardi. Photo G. Armellino.